Twitter on Friday reported fewer monthly active users than analysts expected and warned that the closely-watched figure could keep falling as it deletes phony accounts, sending shares sharply lower in early trading. The company said the work it was doing to clean up Twitter by purging automated and spam accounts had some impact on its user metrics in the second quarter, and that it would prioritize work to improve suspicious accounts and reduce hate speech and other abusive content over projects that could attract more users. Monthly active users fell by 1 million in the second quarter from the first to 335 million. Analysts had expected a gain of 1 million users, and the results could harden concerns that Twitter lacks a clear strategy to grapple with various platform problems and grow usage and revenue together. Twitter said the decline in the third quarter would be in the mid-single-digit millions, suggesting a sequential decline to around 330 million users. Analysts, on average, had expected 340 million monthly active users in the third quarter, according to Thomson Reuters I/B/E/S. Twitter shares fell 16 percent in pre-market trading. Twitter, like bigger rival Facebook, has been under pressure from regulators in several countries to weed out hate speech, abusive content and misinformation, better protect user data and boost transparency on political ad spending. 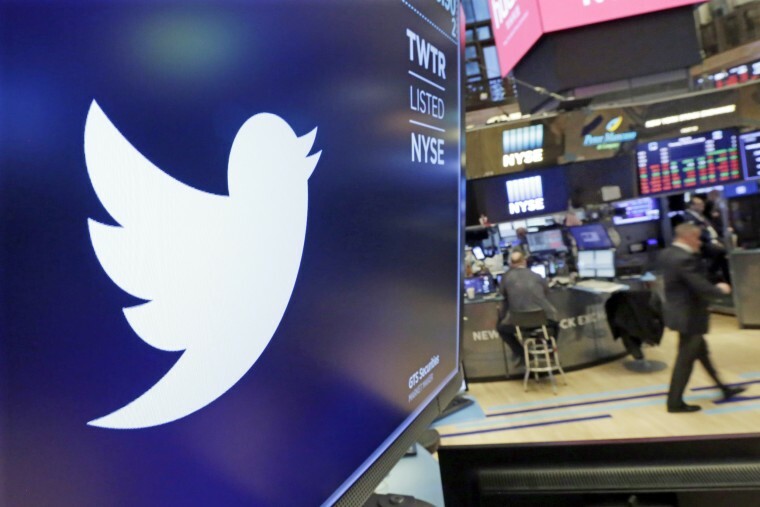 "We are making active decisions to prioritize health initiatives over near-term product improvements that may drive more usage of Twitter as a daily utility," the company said in a shareholder letter accompanying the results. Chief Executive Jack Dorsey said in a statement that daily users grew 11 percent compared to a year ago, saying this showed that addressing "problem behaviors" was turning the service into a daily utility. Twitter had said earlier in July that deleting phony accounts would not have much impact on monthly users, since the purge focused on inactive accounts, a key metric for investors and advertisers. Twitter’s relations with advertisers have been strained by concerns about phony accounts bought by users to boost their following. Revenue of $711 million, mostly from advertising and up 24 percent from last year, exceeded the average estimate of $696 million among analyst research aggregated by Thomson Reuters. Twitter said it benefited from two weeks of the FIFA World Cup in the second quarter, with ads tied to the soccer tournament generating $30 million in revenue. Profit was $100 million, with a $42 million boost due to a tax accounting move. Twitter turned its first-ever profit in the fourth quarter of 2017 and has been profitable ever since, but warned last quarter revenue growth would slow this year and costs would rise. Twitter said it lost some users due to the introduction of the General Data Protection Regulation in Europe in May but it did not note any revenue impact. The company increased its capital expenditures forecast for the year to between $450 million and $500 million, from $375 million to $450 million, as it expands and upgrades the computer infrastructure underlying its service.